BRIGHTON, Mich - The most capable F-150 yet is providing truck customers with even more options to ensure that their light-duty pickup will meet every one of their driving needs. The 2015 F-150 has added two new engines to its four-engine lineup - a high-output 2.7-liter EcoBoost with standard Auto Start-Stop and new 3.5-liter V6 with twin independent variable camshaft timing - and has raised the bar in light-duty pickup performance, capability and efficiency yet again. 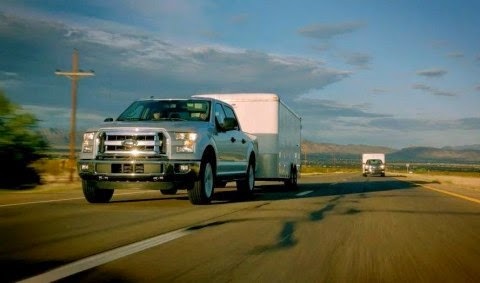 The twin turbo 2.7-liter EcoBoost V6 engine is ideal for meeting all of your mid-range capability needs. It is not only efficient with its Auto Start-Stop technology, but it also features Ford's first use of compacted graphite iron cylinder block which saves weight while providing strength where it is needed most. 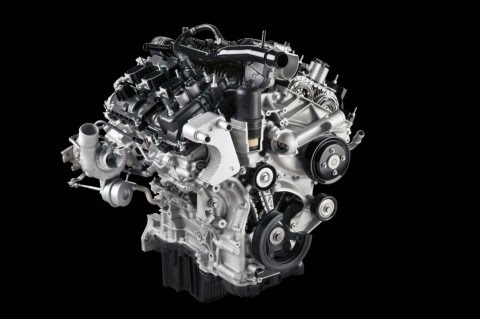 The 2.7-liter EcoBoost V6 combines power and performance in one strong package. This engine can produce 325 horsepower, 375 lb.-ft. of torque, has a maximum payload rating of 2,250 pounds and a maximum tow rating of 8,500. The 3.5-liter V6 is extremely powerful and durable thanks to vehicle weight savings. The 3.5-liter V6 with Ti-VCT offers a 5 percent improvement in power-to-weight ratio over the larger 3.7-liter V6 found in the 2014 F-150. 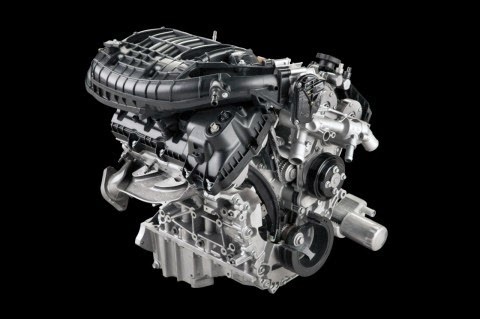 This engine has a high efficiency rate and performance level, producing 283 horsepower and 255 lb.-ft. of torque. Its maximum payload is 1,910 pounds and has a max tow rating of 7,600, making it unsurpassable for standard V6 light-duty pickup trucks. Now that the 2015 F-150 has added two new engines to its four-engine lineup, Ford customers will have the option to alter their 2015 F-150 to meet all of their driving needs. Whether they are hauling tools or towing tailors, there is an engine for that!